Dr. Blumhofer, from a presentation on “glory” in John’s Gospel at the Society of Biblical Literature. 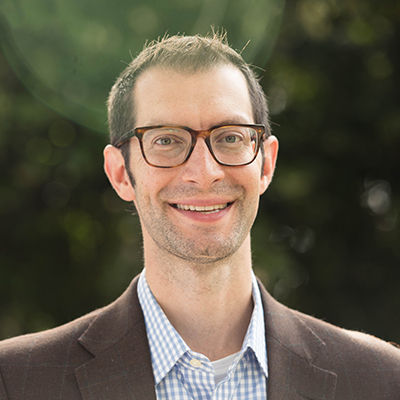 Chris Blumhofer joined Fuller’s School of Theology faculty as a visiting professor in July 2018. He completed his PhD at Duke University in 2017, focusing his research on the significance of John’s engagement with the Old Testament and Jewish traditions. Outside of his work on John, Dr. Blumhofer’s interests include theological interpretation of Scripture, the Synoptic Gospels, and the relationship of Christianity to Judaism. Blumhofer is the recipient of several scholarships and grants, and has presented at various conferences on topics related to the New Testament. He coauthored, with Richard Hays, the chapter “The Canonical Matrix of the Gospels” in The Cambridge Companion to the Gospels, ed. Stephen Barton and Todd Brewer, 2nd ed. (forthcoming), as well as articles in New Testament Studies and Review of Biblical Literature. Prior to entering academia, Blumhofer worked for three years with Christianity Today’s leadership media group, and he has written extensively for general audiences. He is a member of the Society of Biblical Literature and ordained as a Ruling Elder in the Presbyterian Church (USA). Download Dr. Blumhofer’s CV, which includes a list of his current publications, here.